Oh and obviously I asked what they thought about Mario Kart 8 Deluxe. We're at E3 2017 covering the year's biggest gaming event. Be sure to check out all our coverage on our E3 2017 hub! One of the biggest announcements at E3 this year was the news that Psyonix's massively popular soccer-race car hybrid, Rocket League, will be coming to the Nintendo Switch. 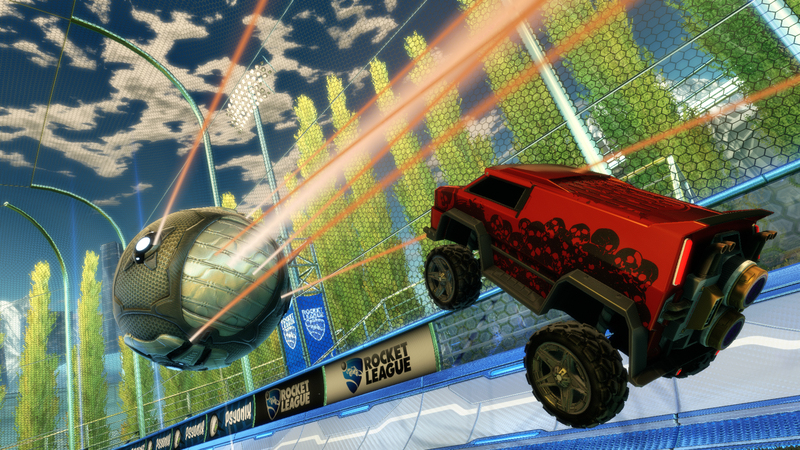 More than that however, the Switch version will also support cross-network play, allowing Nintendo owners to play online with Xbox One and PC players, which Psyonix Vice President Jeremy Dunham believes is the future of gaming. 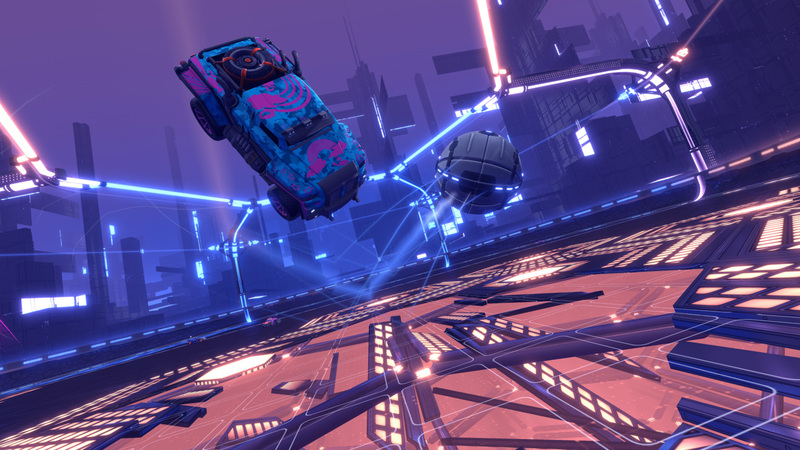 I sat down for a demo of an Alpha build of the Nintendo Switch version of Rocket League and to talk with Dunham and Psyonix producer Bobby Garza about what exactly the developers mean when they talk about cross-network play as being the future for gaming, what's different (or not different) in the Switch version, and a little about how Mario Kart 8 Deluxe influenced the development of Rocket League on the Switch. On the topic of cross-network play, Dunham likened it to smartphones. "I have this analogy, and I know I use this analogy a lot, but it's like if I have an iPhone and my brother has a [Samsung] Galaxy. Y'know, we buy the phones for their unique designs or software or whatever, but not having cross-network is like saying 'Hey, you can't make calls to your brother because he has a different phone than you.'" This is a particularly strong stance given that one of Psyonix's biggest partners, Sony, is also one of cross-network's biggest hold-outs. 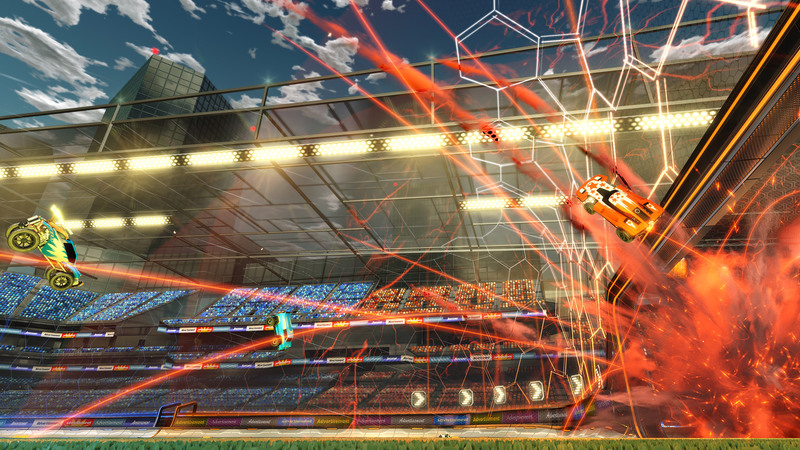 PlayStation Plus was one of the biggest marketing pushes for Rocket League when it launched, and there's already cross-network support for PS4 and PC. I asked whether or not Psyonix is pushing Sony on the topic, to which Dunham responded by saying that the company is still currently talking to Sony about the cross-network support. "There's probably someone from Psyonix talking to someone from Sony every day. Not necessarily about cross-network, but the conversation is always ongoing. Sony is such a good partner for us." Still, Dunham and the Psyonix team appear very pleased with getting cross-network support between consoles like the Xbox and the Switch. Rocket League joins another massively popular online game, Minecraft, in this endeavor and Dunham is very much into the idea that there should be more games that support the feature in the future. "We're thrilled Minecraft is also using cross-network play. It's just good for gaming and players as a whole." Along with just a shared ecosystem of players who can play Rocket League together regardless of console, there's a practical application for cross-network support. "If you're someone who can afford an Xbox One X, but have a cousin who can only afford a Switch, you can still play together and that's a huge benefit," says Dunham. As for Rocket League on the Switch, I got a quick hands-on time with the game running on Nintendo's portable hybrid console and it played exactly the same as my time with the game on PS4. The Switch version runs at 720p at 60FPS (docked and undocked) which helps make the game feel as fluid as it should. The developers explained that one of the most common questions they get asked is why the studio didn't opt for a slightly better resolution. 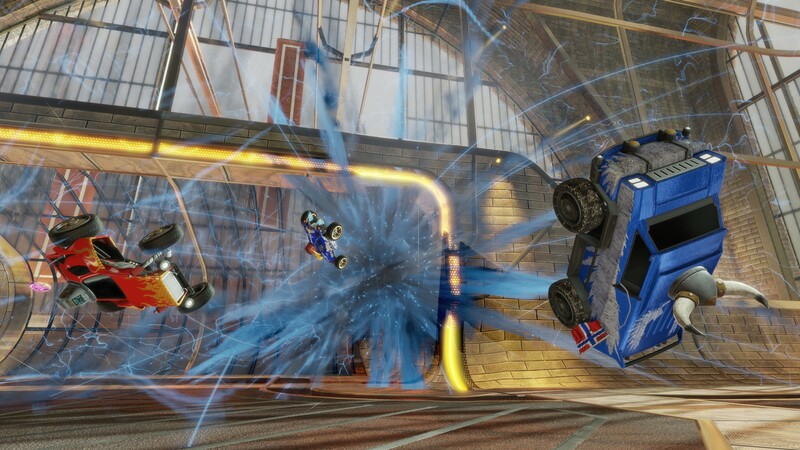 Psyonix said that even if Rocket League isn't the most graphically challenging game, it's very dependent on the physics, which forced Psyonix to trade off marginally better resolution if it meant getting the game to run properly on the Switch version. For what it's worth, Rocket League will support 4K HDR on the Xbox One X. The Switch, as it turns out, is quickly becoming a great home for weird motor games. Mario Kart 8 Deluxe is one of the Switch's best titles, and Dunham says that Mario Kart 8's success on the console was a huge motivator for the Psyonix team to get it right on the Switch. A kind of, "if they can do it, so can we" kind of thinking, so to speak. At the same time, the idea of Rocket League on the Switch existed long before Mario Kart 8 Deluxe even came out. "In terms of pure greenlighting for when this project started, three months ago," says Dunham. "If you wanna talk about when we first started investigating, messing with dev kits, late last year was about when we first started looking at it." As it turns out, it was Nintendo that first contacted Psyonix about a potential Switch outing before the console was even officially announced. So, three months later and here we are: there's a version of Rocket League coming to the Switch that feels like a pure Rocket League experience. The company is gearing up some year two DLC releases including a new anniversary stage, customizable explosions, and some other aesthetic goodies. Some of the more console-specific features include 8-player local multiplayer and two-player split screen on a single Switch with each player using a single Joy-Con (party style). I wasn't allowed to play Rocket League in undocked mode given that the Alpha version had a penchant for crashing, but Psyonix showed me how it played undocked and for what it's worth, the game didn't crash. Oh, and the Pro Controller works great for Rocket League, so much so that the demo convinced me to purchase one myself. "Get it at Target," Dunham told me just as I was about to leave, "it's usually on sale there." Tagged with Articles,	E3 2017,	matt kim,	Microsoft,	Nintendo Switch,	PlayStation 4,	Psyonix,	Sony,	Xbox One X.
Cross-play parties coming in a future update.